SKU: Drcabana. 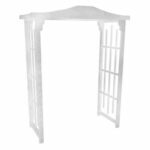 Categories: Arches & Arbors, Poly Premier & Sheer Drape 10" High. 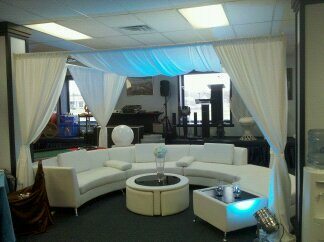 White Drape Cabana, use to create an intimate area. Use over bars, lounge furniture or VIP Tables. Looks amazing when lit with LED lights.